West 26th Street Press, 9780786753567, 328pp. 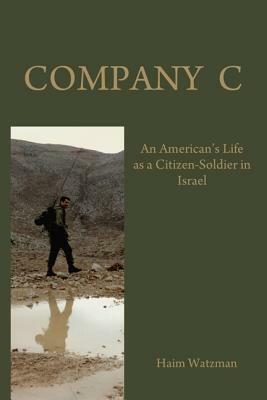 When American-born Haim Watzman immigrated to Israel, he was drafted into the army and, after eighteen months of compulsory service, was assigned to Company C, the reserve infantry unit that would define the next twenty years of his life. From 1984 until 2002, for at least a month a year, Watzman, who had never aspired to military adventure, was a soldier. Watzman was a soldier as he adjusted to his new country, raised his children, and pursued a career as a writer and translator. At times he defended his adopted country's borders; at other times he patrolled beyond them, or that gray area, the occupied territories. A religiously observant Jew who opposed Israel's presence in the West Bank and Gaza Strip, he served in uniform in conflicts that he demonstrated against in civilian clothes. Throughout, he developed a deep and abiding bond with the diverse men of Company C--a fellowship that cemented his commitment to reserve service even as he questioned the occupation he was enforcing. In this engrossing account of the first Intifada, the period of the Oslo Accords, and Israel's reoccupation of the West Bank as lived by citizen-soldiers in the field, Watzman examines our obligations to country, friends, family, and God--and our duty to protect our institutions even as we fight to reform them. Haim Watzman is a translator and journalist who lives in Jerusalem with his wife and four children. This is his first book.